We are so used to Woolies (or something similar) for putting food on the table that we tend to forget that there was a time when we were actually hunter-gatherers. So, I thought it appropriate to look at Granny’s kitchen for some inspiration. If caffeine is keeping you awake or make you too energetic, don’t despair. The roots of the Sheppard’s tree (Boscia albutrunca) make a brilliant coffee. The recipe to perfect this ritual is a bit challenging, but should be viewed as part of the experience. If it is a bit uncoffee-like for you, you can also mix in a few coffee beans before you grind the dried roots. 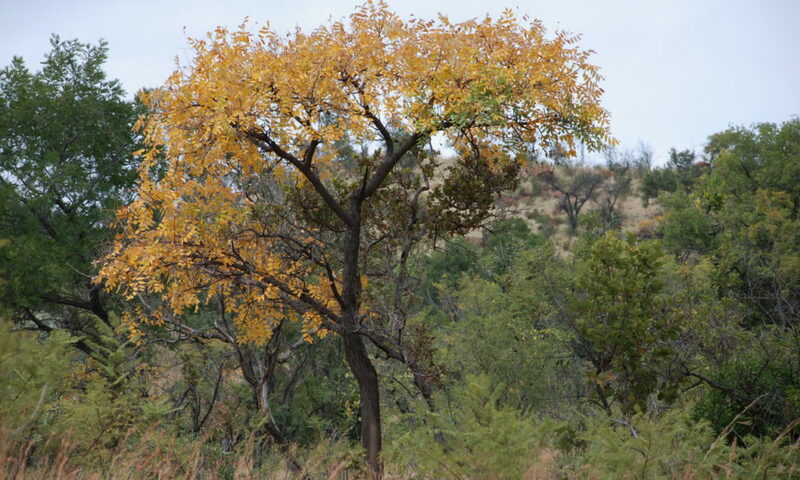 This tree does not occur in the Highveld area, but you will find it where it is slightly drier, like the Bushveld and the Northern Cape. Today it is a specially protected tree and the above should be considered as of historical importance only! Should you prefer a cup of tea early in the morning, a local plant that is quite fragrant and will also bring down a fever is the “Koorsbossie”, Lippia javanica. When the fresh leaves of this small shrub is crushed, it gives a very fresh lemon smell. Dry the leaves and prepare as ordinary tea. Rooibos (Aspalathus teres), also a local from the Western Cape, is commercially available, so we will skip it. For the sweet tooth, there are a few options. Most of the fruits of suitable plants can either be eaten fresh or can be turned into a very nice preserve. Quite a few are locally available, such as the Transvaal milk plum (Englerophytum magaliesmontanum). The fruit ripens in December and if you can beat the baboons, you can use it either fresh, a bit on the sour side, but very refreshing, or prepare a very nice preserve. There are other interesting locals as well. 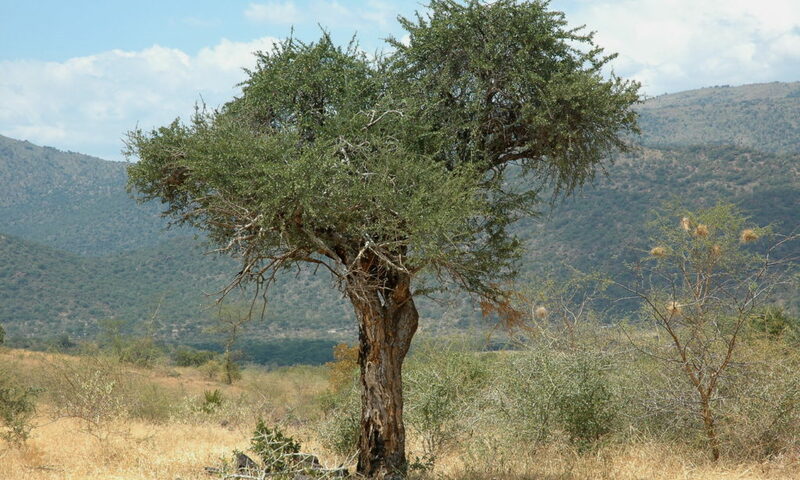 For a refreshing drink, try the fruits of the Marula (Sclerocarya birrea). Just don’t leave your elixir too long in the fridge as its potency rises exponentially with time. Unless, of course, that was your aim. There are quite a few more stalwarts such as the wild apricot (Dovyalis zeyherii) that makes a nice preserve and the wild medlar (Vangueria infausta) can be pulped and used as an apple pie substitute. The last one worth mentioning that is also a local Highveld/Savannah inhabitant, namely the Tranvaal red milkwood (Mimusops zeyherii). The fruits are really very tasty and are very rich in vitamin C.
Most of these plants do well in a garden. However, many of the trees occur on the ridges where frost is minimal. One that needs more investigation is the indigenous blueberry (Vaccinium exul). It occurs on the Eastern Escarpment of Mpumalanga on the fringes of forests or on rocky outcrops in the grasslands. 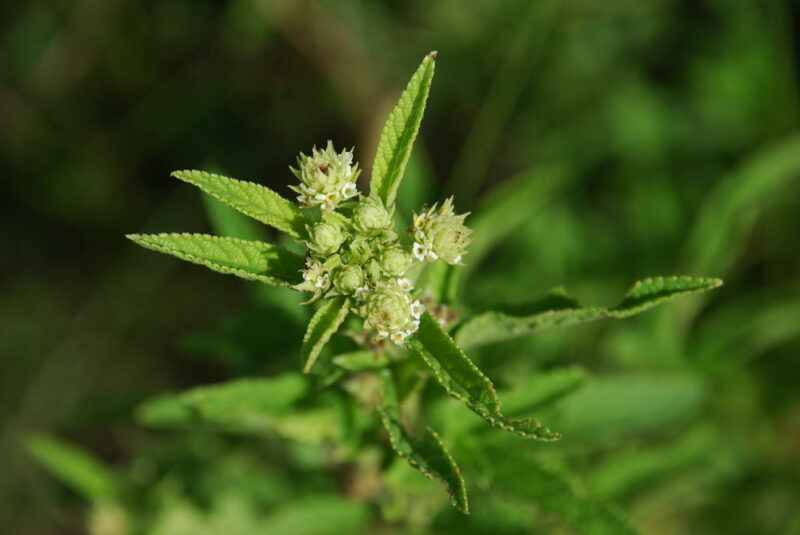 Very little is known about its horticultural properties and also its potential as a food source. We have collected some berries recently and hope to have some plants available in spring. The topic of edible fruits is vast and this is just to whet your appetite. Literature on the topic is limited and some are out of print, but try and obtain the following if you need more detail on the subject. Fox, F.W. and Norwood Young, M. E. (1982) Food from the veld: edible plants of southern Africa. Delta Books. Roberts, M. (1990). Indigenous healing plants. Southern Book Publishers.